Cleansing your face of make-up is vital to skin health, particularly for acne-prone skin. Rose Water whisks away impurities and reveals soft, clean skin underneath. It’s also important to tone skin, shrinking enlarged pores and revitalising dull, lifeless skin tone. 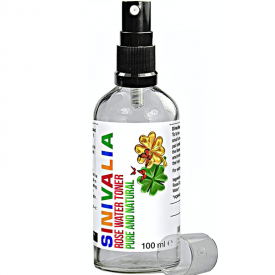 Sinivalia's natural rose water formulation provides a unique toning effect that is carefully pH balanced to avoid leaving you with dry skin. Used Anti-Ageing Facial Cleanser & Moisturiser for dry, oily, sensitive, sun-damaged skin and hair. Helps collagen production, minimises acne, blackheads, pimples and pores as well as neck and forehead wrinkles. • HYDRATES SKIN AND HAIR: Organic rose water is pH balanced and safe for baby, pregnancy use or irritated damaged skin. • SMOOTH SKIN: Helps get rid of wrinkles, fine lines and improves loose, sagging mature skin and uneven skin tone and pigmentation. Apply before your anti -wrinkle cream. • HEALTH &amp; PERSONAL CARE THAT WORKS: Versatile cleansing, moisturising skincare for body, hands and feet. Great for manicure and pedicure as cuticle cleanser. • LUXURY BRAND: Is cruelty, paraben free and vegan friendly. Smell beautiful roses by adding it to a bath, bed pillows or hair or beard. Great for pre or aftershave. Use alone or to make bentonite face mask. 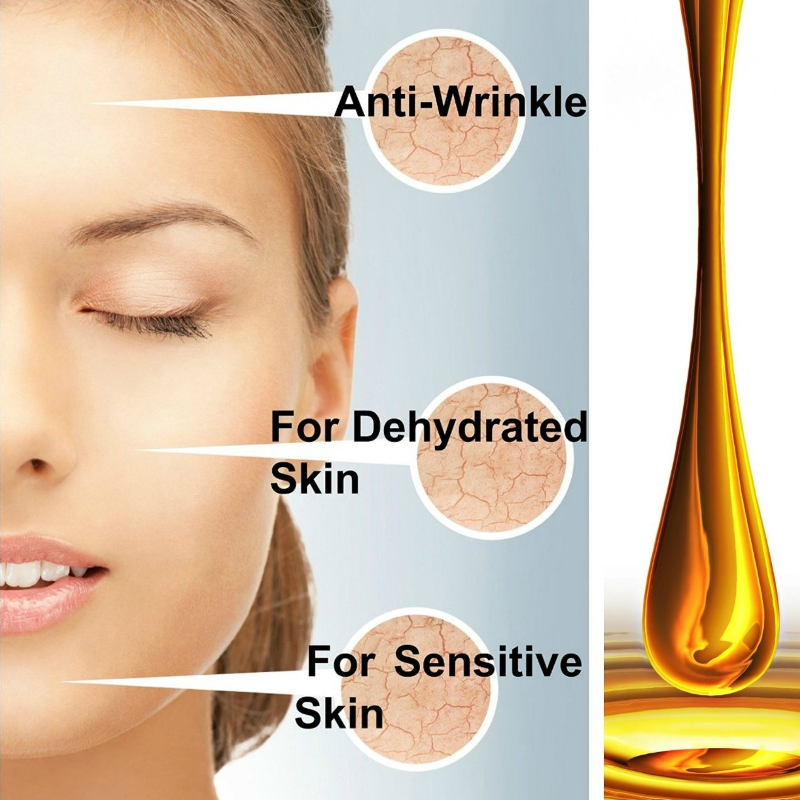 • E-BOOK Included: Essential and aromatherapy oils skin care and beauty book included with the purchase of this skincare product. • As a cleanser, use Rose Water to wash away the night’s accumulated oils. • As a make-up remover, apply to cotton balls, and sweep along face to eliminate cosmetics. Apply your night cream. • As an aftershave, splash a small amount of the Cleanser on face after shaving, it removes shave cream and soothes skin irritated and chafed by razors. • As a hair toner, spray lightly onto hair. 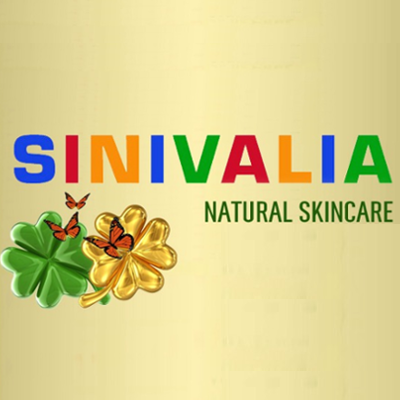 Sinivalia Anti-Wrinkle Face Rose Cleanser is distilled from the freshly harvested petals of Damask roses. Since the prized Damask rose only blooms for a short time, this process is extremely valuable, yielding the most treasured and pure rose water available for wholesome skin care. Rose water is one of the world’s oldest and most used skin care products, cherished for its abundant positive skin benefits and gentle cleansing properties. Today, we know that Damask rose water contains natural emollients, cleansers, mild toners and a distinctive but subtle scent that is suitable for men and for women. It soothes irritated skin, rejuvenates stressed skin, dissolves excessive oils on oily skin and softens and restores mature skin. Its natural anti-oxidants and vitamin-rich content nourishes skin tissue and diminishes fine lines and other signs of premature ageing. It even contains antiseptic and anti-bacterial components that combat acne-causing bacteria and other impurities. Rose cleanser is 100% Rosa Damascena Distillate Flower Water, all natural and free of pore-clogging parabens, inflammatory gluten and troublesome sulfate for a fresh, non-irritating face wash. 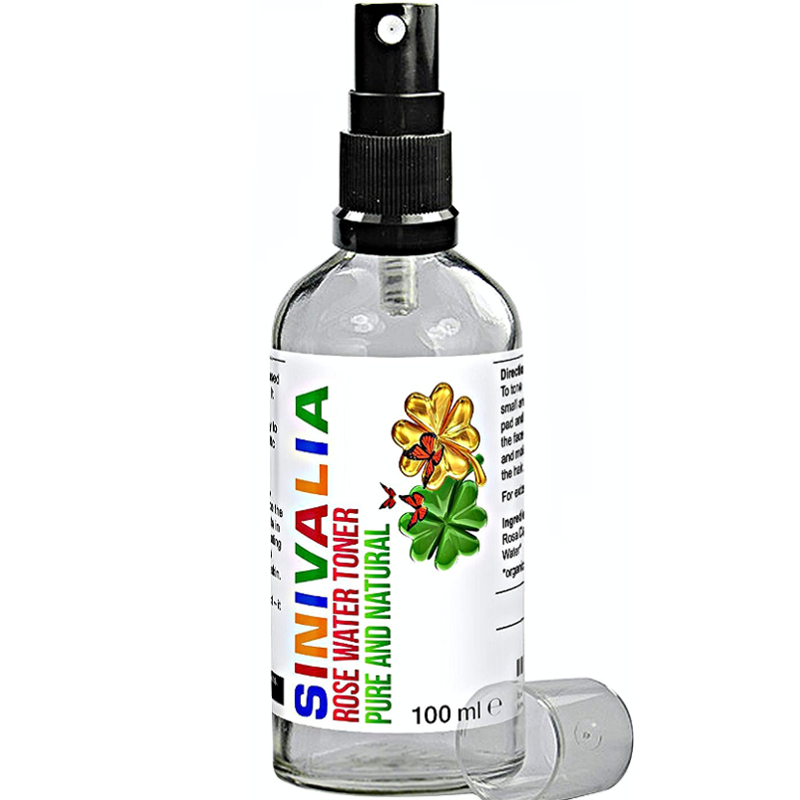 Since Sinivalia never test their products on animals, their Anti-Wrinkle Face Rose Cleanser is cruelty-free and suitable for vegans and vegetarians. I have been very happy with this great all natural rose pure rose water that smells lovely, is wonderfully gentle and really dos a great cleansing and toning job. I am struggling to find any. This is a great natural product that I mainly use as a toner but have also used it as a cleanser and toner. It has a lovely natural rose aroma which I love. "I have been very happy with this great all natural rose pure rose water that smells lovely, is wonderfully gentle and really dos a great..."